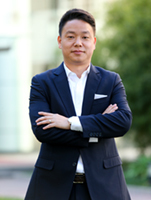 Jack XU has been with China Merchants Bank Leasing Company since 2010. As the Executive Director of the shipping team in CMBL which based in Shanghai - he is presently responsible for the marketing/projects developing for the major shipping regions in the world, in support of all commercial activities of CMBL's shipping finance business. For over 15 years, Jack has involved operating, legal, finance and other related transactions/activities in the maritime industry. He worked with COSCO, Ince law firm and China communications bank. Jack holds a Bsc in Marine Engineering and an MSc in Economics Law and he has graduated from the further educational EMBA programs in the Switzerland Campus of China Europe International Business School.